Construction began in 2002 and was completed in 2005. The buildings unusual design and distinctive profile were guided by a number of factors, including the narrow site, the need for efficient floor plates, and exacting planning regulations that protected the amount of sunlight falling on two nearby public spaces, and buildings including the State Library and Parliament. 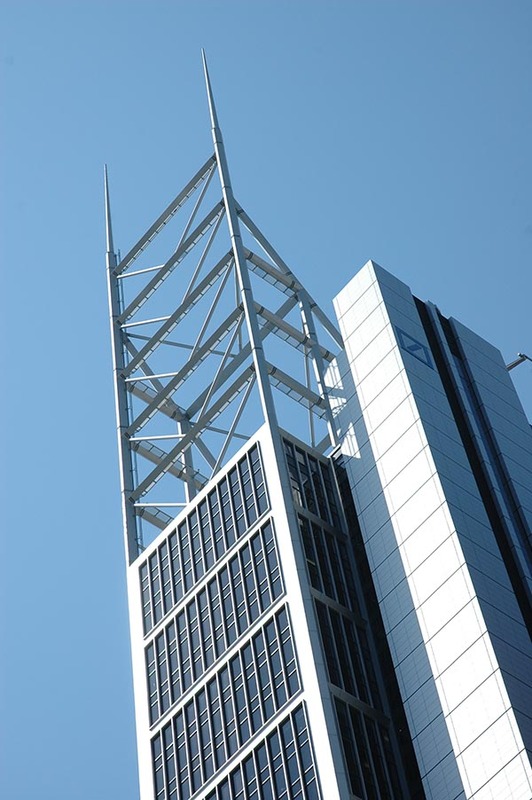 The structure is expressed in the facades of the office floors with the triangular silver aluminium cladding of the columns, and repeated horizontally every three floors. 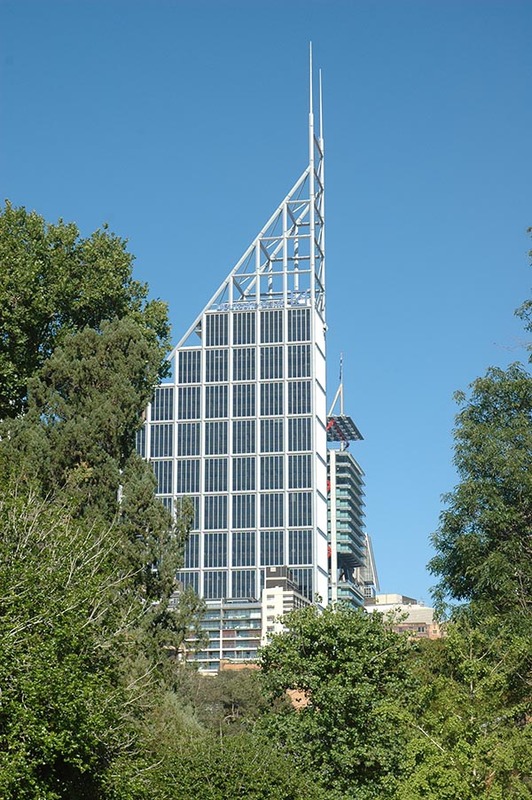 This mega-grid is extended above the occupied floors to create a roof feature that gives the tower its unique shape and bridges the gap between two neighbouring buildings of significantly different height to complete Sydneys eastern skyline. The setback roof or step design allows sunlight to reach the south-eastern side of the building.